Saint Petersburg is a Russian town of rare beauty. Former Leningrad shelters one of the most appreciated museums in the world – Hermitage. It holds the White Night Festival, during which the city never sleeps and the sun does not even set well that it rises again. St. Pete holds a network of metro stations, each considered to be true architectural masterpieces. And, if you are not yet convinced, it should be mentioned that its historic center is part of the UNESCO cultural heritage! I have covered a lot of useful information about things to do in Saint Petersburg, must visits, tips and tricks, prices and so on in this post. 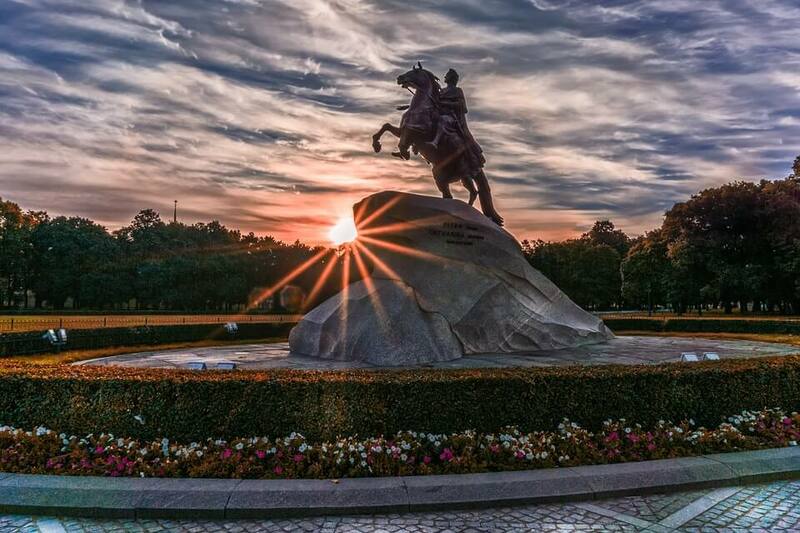 I consider Saint Petersburg to be one of the most beautiful cities in the world! You will see why when you pay a visit! In April and May the weather begins to warm up, but frost and snowfall are not unusual. During summer the average temperature is 20-25 ° C. The peak of the tourist season is in June, especially during the white nights. They begin at the end of May and extend until mid-July, but between June 11 and July 2, the sun sets only for a few minutes and the streets remain crowded by people 24 hours a day. Just imagine the atmosphere you will see there! Besides, during the last 10 days of June, the White Nights Festival takes place. During the festival concerts and parties take place at any time of the day or night and I’m sure you will be able to find a place where you can enjoy a pint of beer with your friends there! We encourage you to book rooms in advance, as this city will probably be one of the most crowded during the summer. 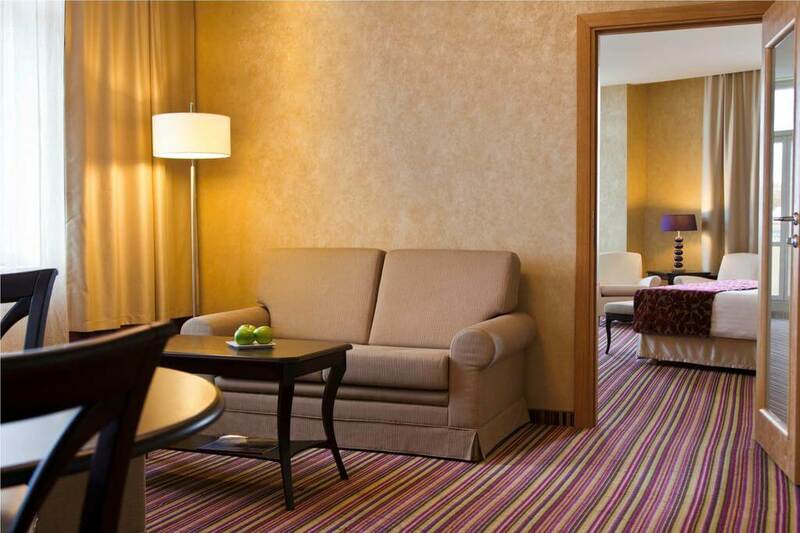 Located in the very heart of Saint Petersburg, the Petro Palace hotel offers high quality services for its guests. A feature of this hotel is the indoor pool and a gym, which are perfect to spend time in while you are not exploring the city. Past guests have reviewed this hotel as excellent, and it has the advantage of being situated in walking distance from a metro station. This means that you will get from point A to point B in no time! MFK Gornyi is an amazing place to stay in Saint Petersburg! You will find that there are numerous cafes and restaurants waiting for guests. To be sure that you will be able to get a room in this hotel, you should book one right away, because from the comments of the previous users this hotel will be on high demand during the high season. If there are absolutely no hotels left, you can try Airbnb.com, but make sure to ask your hosts in advance if they can register you. What is registration? It is a Russian (very outdated if you ask me) law, that requires every foreigner to register in the immigration office in the first (!) day when he/she arrives. If you are staying in a hotel, they do the whole procedure for you. But in case you stay in a flat, you will probably need to take care of this by yourself. ImperialApartFontankais situated in the very heart of Saint Petersburg. Because of this, its guests are always within walking distance of a lot of tourist attractions. 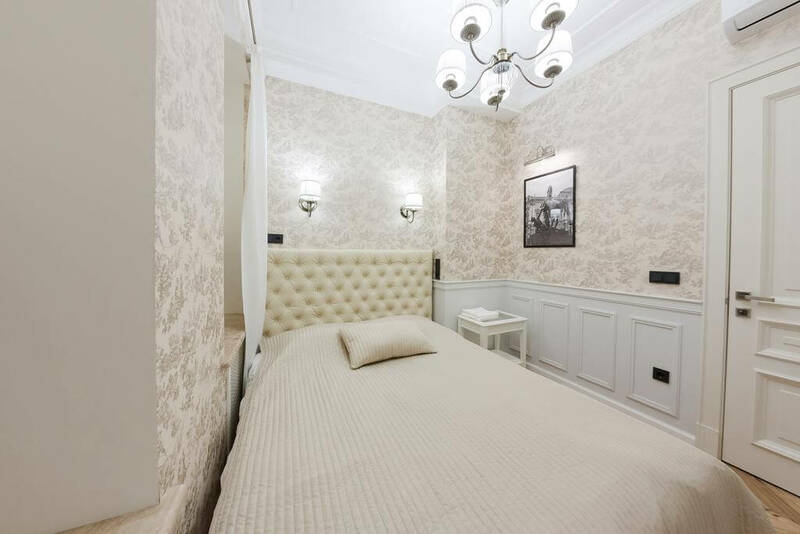 This apartment will make you feel right at home, and will offer you the chance to explore the Russian culture in its purest form, as it is situated near museums and other landmarks. We advise that you book it as soon as possible; as it is hard to tell how much longer it will be available. This superb establishment is situated close to the Vasileostrovskaia metro station. However, if you fancy walking, you will not get bored, as you will get to see tourist attractions nearby! This restaurant has excellent quality, preparing traditional Russian cuisine as well as international food. 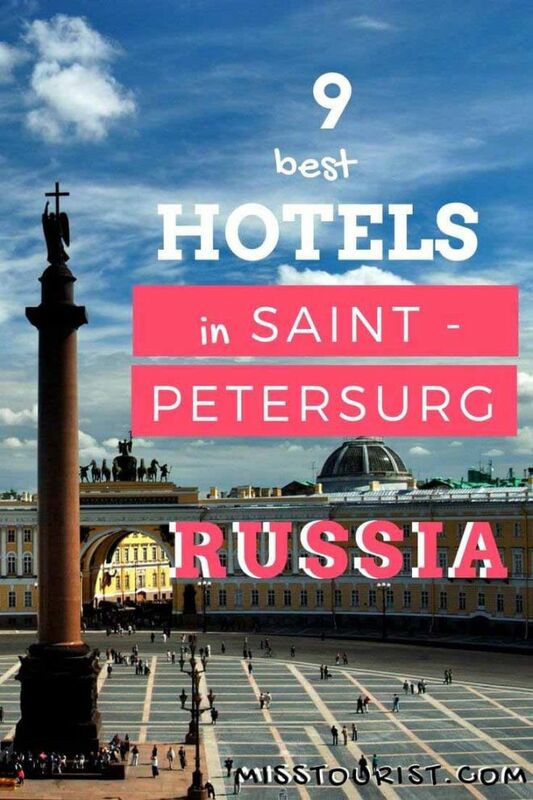 Past guests have reviewed this hotel as being one of their top options when travelling to Saint Petersburg, so we encourage you the live the same experience by booking a room right away. 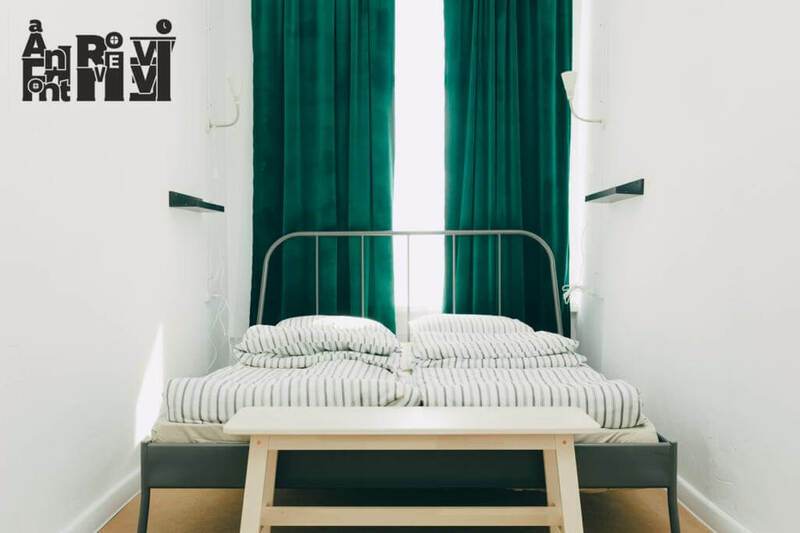 Fontanka River View Hostel is located in the very centre of Saint Petersburg, and it offers rooms which have direct view of the River. At the guests’ disposal is a kitchen where they can cook meals for themselves. Free Wi-Fi is also provided by this establishment. Past guests have reviewed this hostel as exceptionally roomy and with very pleasant staff. Taking all these aspects into consideration, you should probably book a room now, because if you wait, chances are you will not find one anymore! Petrogradka has been reviewed by previous guests as a very comfortable, very clean accommodation, which provides for its guests free Wi-Fi, a fridge, microwave, and a heater. 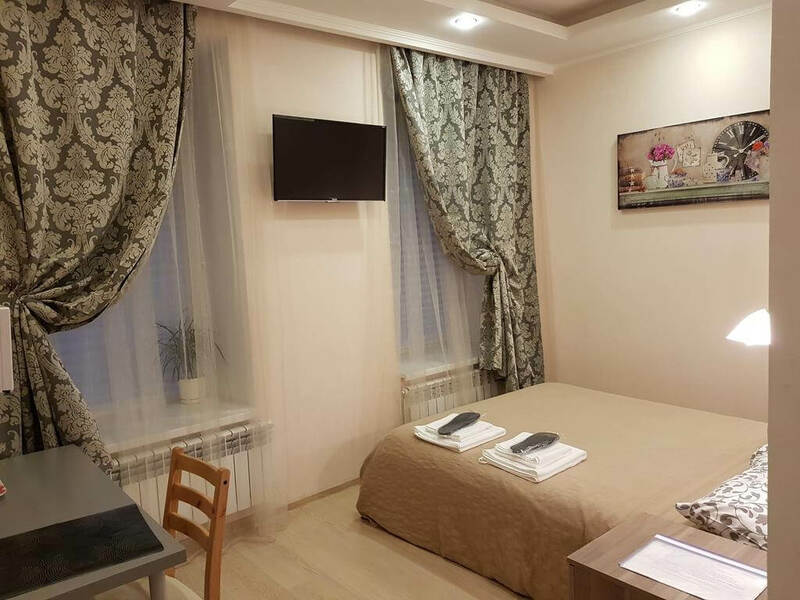 It is situated in walking distance from the Chkalovskaya Metro station, which is very convenient for travelers willing to visit the city. Book a room right away because you may not find one available in the summer. Oh, I know a lot about transportation in Russia, trains and Trans Siberian in particular. Writing a detailed post that would help you guys plan your journey is on my to-do list for forever. Before I publish it, how about you ask me questions in the comments section below this post? I promise to reply! For now I can say that this is the official site for Russian trains, but the interface is quite poor and sometimes it doesn’t accept foreign cards. 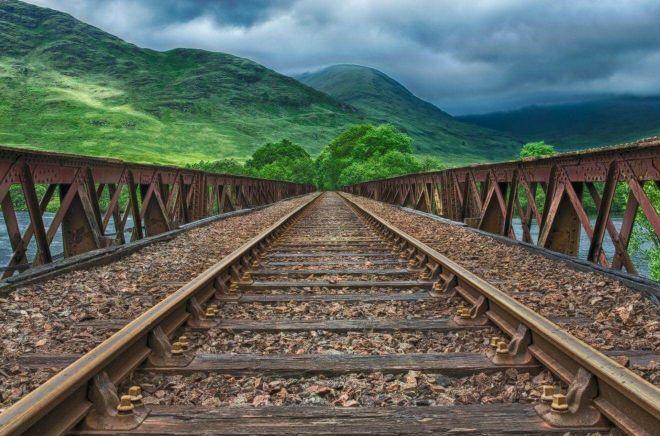 If you have troubles, there is a great friendly website that accepts foreign cards, PayPal, sends you SMS with train updates and is user friendly, the price is 5% higher on average, but I think it is worth it because you won’t need to spend hours understanding how the official one works. And one more cool things – if you need to cancel or change the ticket, you can do it online! If you want to go for a short distance, you can also try buses. Here is a good site for buying bus tickets online. I hope you found this article useful and you were able to find something good and fitting your budget. Even this is not Moscow, I predict the accommodation situation will be quite taught during the high season and the sooner you book, the better. It will not get cheaper, trust me! Have a great time in the city and do not hesitate to let me know if you have any questions! Thanks in advance – you can look me up on airbnb for reviews. One of my favorite hotels and my personal suggestion is Courtyard by Marriott St. Petersburg Vasilievsky (you will find it in the article, too) – it’s a very beautiful place with good reviews. Plus, it’s situated right near Neva river! Another gorgeous place for your stay is ImperialApart Fontanka – this is actually an aparthotel situated very close to Neva, too. Azimut Hotel is another good choice too, as well as Grand Mark Hotel. All these have amazing views and are situated close to the most important cultural spots in St Petersburg. what if i get an apartment how will i do the registration by myself? https://xn--b1ab2a0a.xn--b1aew.xn--p1ai/ – you can find the office here, but it is only in Russian, please ask your host for help. – Russian Federation visa or a fan’s passport, which you get yourself online when you purchase tickets for 2018 FIFA World Cup Russia matches. Then you have to fill in a special form. Migration office employees do not speak English and are very strict, so be prepared. The form you will have to fill is also in Russian and you will have to fill it in Russian as well. That is the main problem. If you are not alone then all of the people staying in the apartment will have to go there too. Normally, not during the World Cup, they give you 7 days for the registration, but from 25.05.2018 to 25.07.2018 you have to obtain the registration within 24 hours from your arrival. In conclusion I can say that you can do it yourself, yes. But ask the host to help you finding the local office, ask him/her to take the forms and fill them for you in advance, so you don’t have to do it yourself later. Then whenever you arrive you will have to take the passport, the FAN ID, the migration card and the pre-filled form and go to the migration office. In case you don’t do it and then the migration officers catch you somehow the penalty will be from 2000 to 7000 rubles with possible expulsion from Russia. have a great time in Russia! I am not really into clubs, plus I am not from the city, but I know there is a street full of pubs and clubs, it is called Dunskaya st, it is in the center. start your pub crawl from there and I am sure you ll find lots of nice places to go !